No, I’m ready for a work-out. All dressed up in my Hummel work-out gear. Loving it! After my work-out are I heading home to my mom, or my sister, because it’s really her I’m going there for today. We are going to celebrate her birthday. She is turning sixteen tomorrow. So it’s a family get together. Sweet Sixteen! We don’t really do a big thing out of sixteen in Norway. Eighteen are more our deal, and most of us have a big get together the year we turn fifteen. But now I have to go and start my work-out. I have been doing so great in my weight losing program , Easy Life. That was on till this monday. I actully had red numbers, RED. I had gained some. Not much, but still. I had gained. I hope that this is not something that will happen a lot. 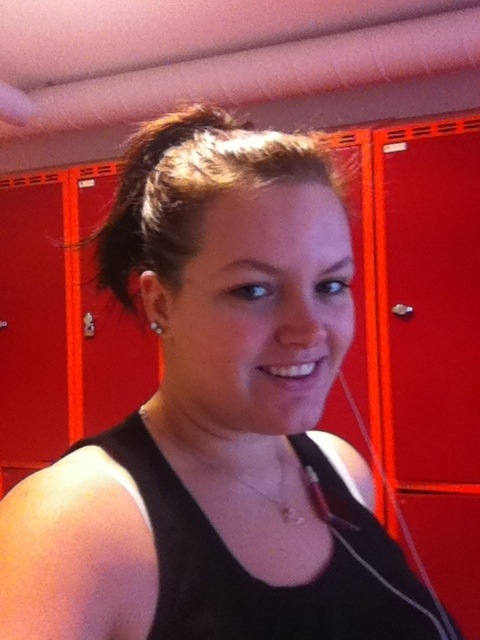 I know that the body dosen´t always weigh the same, so to go up en down a few kilo are okay. But not know, not yet. Still have 1,8 kilo I want to lose and hopefully before February 12. That´s my dream. Maybe I will make it, maybe I want. I have to say that I really really hope I make it. Or els London want I hoped it would be. It will be the same but I will feel like I´m cheating. Because a trip to London was supose to be my gift my self when I had made my goal. So I have that my next weighing will be much better it was this monday. And I really hope that it will be a green number. I don´t think I can take one more weighing with red numbers.